Norwegian telecoms firm Telenor announced on Monday that it was writing off the rest of its huge investment in mobile telephone operations in India. It’s the latest development in a major conflict over operating licenses that’s involved the highest levels of government in both Norway and India, and resulted in billions of kroner in losses for both Telenor and Norwegian taxpayers. The Norwegian state remains Telenor’s biggest shareholder, and Trade Minister Trond Giske said he was prepared to travel back to India for more meetings with his Indian counterparts if that would be productive. Investors seem to think Giske can just as well stay home, noted Norwegian Broadcasting (NRK), after Telenor’s stock jumped on the news Telenor was writing down the value of its remaining assets in India to zero. Telenor already has taken huge losses on its activity in India, and despite a new extraordinary loss of around NOK 3.9 billion on the write-downs announced Monday, shareholders were cheered because Telenor now may pull out of India entirely. “That’s very positive from a shareholders’ position,” Espen Torgersen, an analyst at Carnegie in Oslo, told website dn.no. The company would cut further losses on its ill-fated Uninor venture with Unitech Wireless of India, and eliminate the uncertainty of further investment in attempts to acquire new operating licenses. Telenor lost its operating licenses in India when the country’s supreme court cancelled those of Indian companies caught in a corruption scandal. Among the companies was Telenor’s partner in India, Unitech, although the alleged corruption and controversy over how licenses were granted pre-dated the establishment of Telenor’s partnership. Telenor now faces a proposed auction process that it believes will make it impossible for the Norwegian company to obtain new licenses or earn any money on them. Analysts at Deutsche Bank also claimed the alternative of an exit from India would be positive. Telenor’s management announced on Monday that it was exercising forsiktighetsprinsippet (a principle of being careful) in deciding to write down the value of remaining assets in India by NOK 3.9 billion (around USD 685 million). 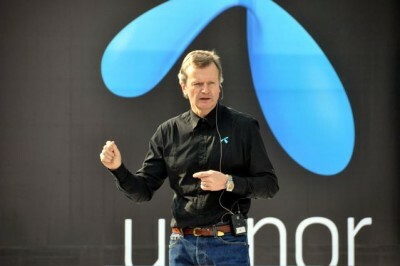 Telenor will include the write-downs in its first-quarter results that will be released next week.